condensation on outside of double glazing units - what does it mean? 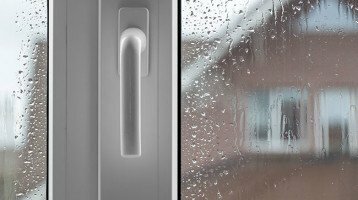 Condensation on Outside of Double Glazing – What Does it Mean? Condensation on the outside of the windows is not automatically bad news. We have had conversations with customers lately who have been asking why they are getting condensation on outside of double glazing units? The simplest explanation is that double glazing with condensation on the outside means that it is simply doing its job! 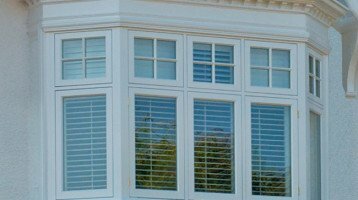 Is Condensation Normal With Double Glazed Windows? Condensation can never be completely eliminated even with new double glazing. You can download a very handy guide to condensation which is published by the Glass and Glazing Federation here which explains all about condensation. In the early days double glazing was sold to replace old single glazing windows. Many sales people claimed it would eliminate condensation on outside of windows. This is not true. There are many factors in the dwelling which can cause condensation. So if you do see condensation on the outside of your window pane, it simply means that the windows are working as they should to keep the winter cold out and the heat in! Some may mention that the condensation formed on the unit is concentrated on the centre of the unit with no condensation on the perimeter of the unit where it meets the window frame itself. As long as the condensation is not between the glass panes the window is functioning perfectly normally. As the daytime temperature rises, so the condensation will disappear.